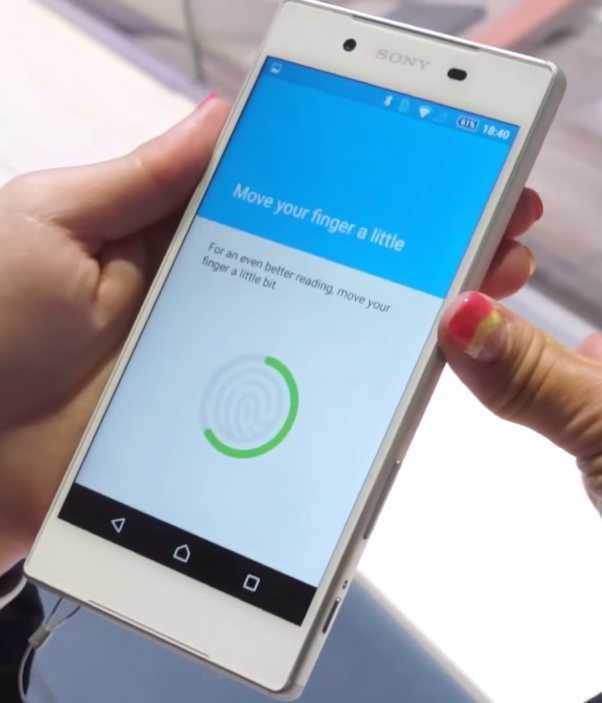 Sony Mobile has used a fingerprint sensor in its Xperia devices for the first time. 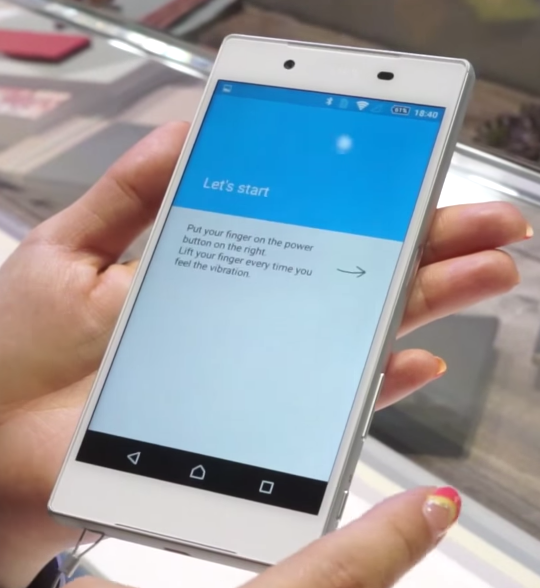 From the Xperia Z5 hands-on videos seen so far, it looks like it works well in practice. 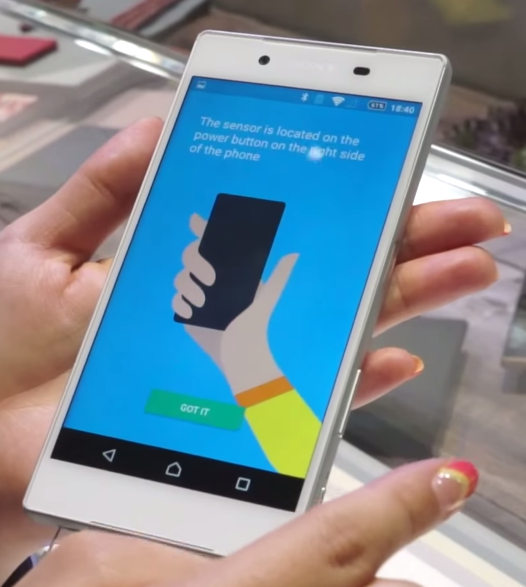 The sensor is able unlock a phone very quickly and mostly within the first try. Overall, it is a great addition to the mobile range, providing an extra layer of security. 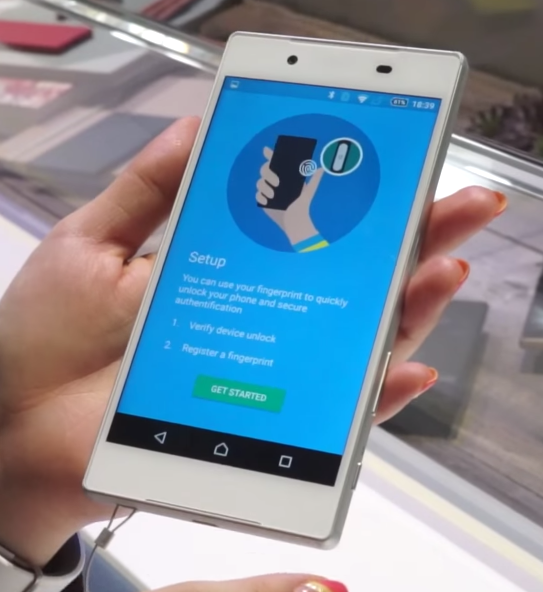 The video below shows how the Sony Xperia Z5 can be unlocked using the fingerprint sensor power button. More than that though, the video walks through how a fingerprint is registered via the ‘Fingerprint Manager’ to use this feature. The video is not in English but it’s pretty self-explanatory (we’ve included some screencaps to showcase the various steps involved). The “Fingerprint Manager” can be accessed through Settings > Security. 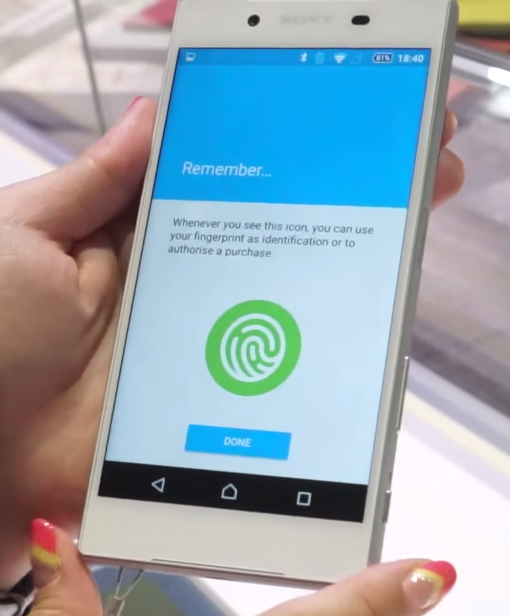 Your fingerprint can be used to unlock your phone as well as for secure authentication. To start you will need to confirm your pin number (or other security option used). 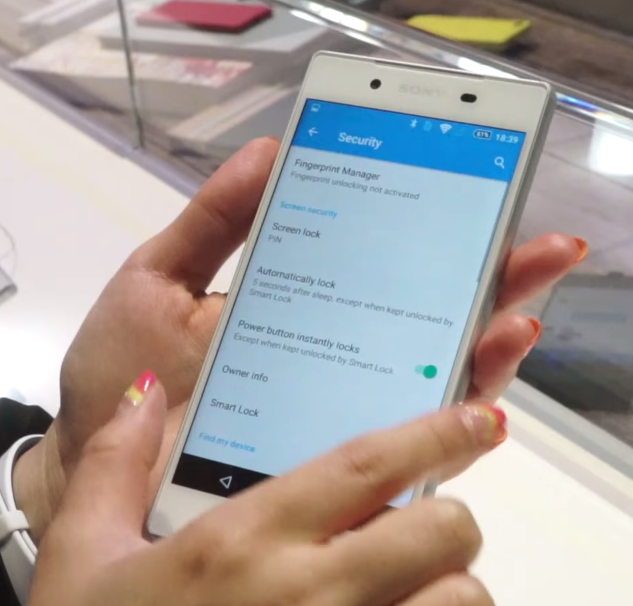 Sony then tells you where the fingerprint sensor power button is. To start registering your fingerprint, you need to place your finger on the power button. Then lift the finger everytime a vibration is felt. You will need to keep scanning different parts of your finger until the green circle is complete. The green icon shows when your fingerprint can be used as ID or to authorise a purchase. 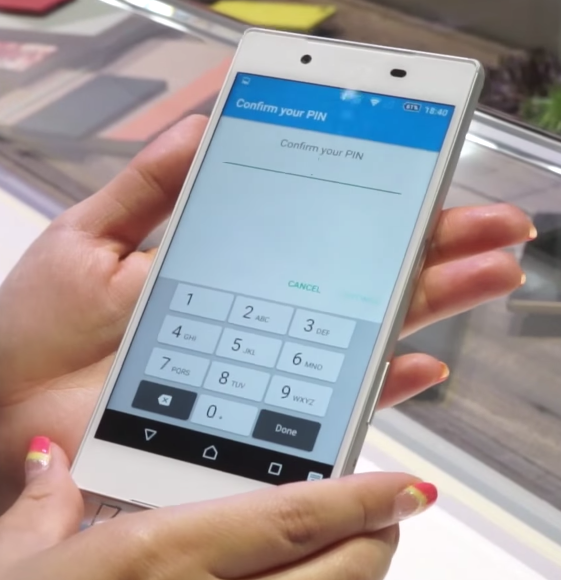 You can confirm whether you want to use your fingerprint to unlock the device. More than one fingerprint can also be registered.